Add a wild touch of style with this chic and funky two-tone blankie. 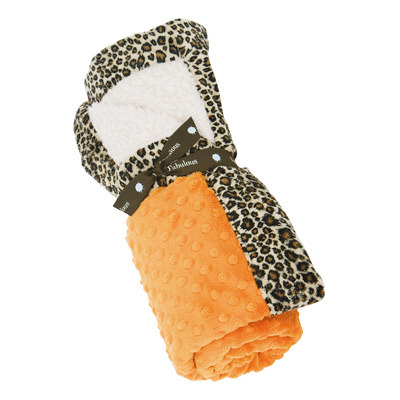 Trimmed in a 2″ border of plush Cheetah print fabric, this two-tone blanket features a minky dot on one side and a fuzzy fabric on the other. 100% polyester. Machine wash gentle cycle. Made in USA.